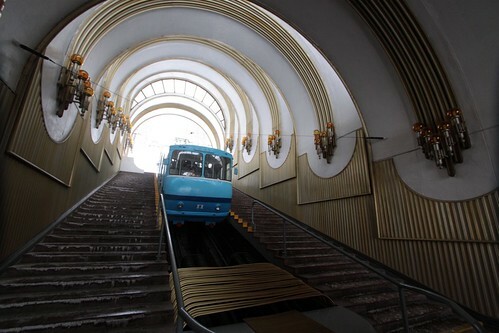 Funicular railways seem to be quite common in European cities, and the Ukranian capital is no different. 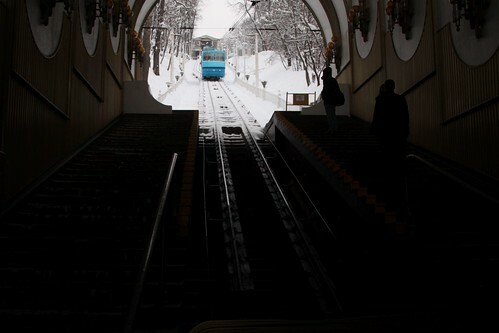 The Kiev Funicular is a 238 meter long railway opened in 1905 that links the top and bottom of a hill. 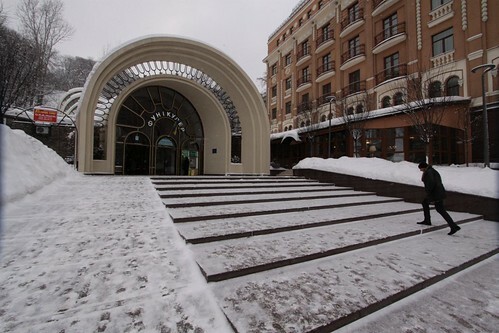 Here is the bottom station. 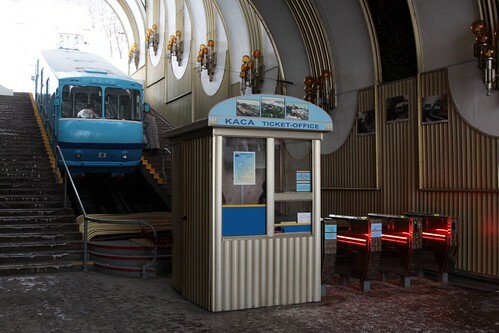 A ticket office and barriers control access. The track heads straight up the hill. 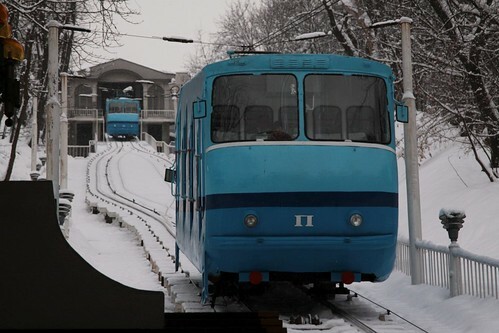 The cars are marked ‘Λ’ (left) and ‘П’ (right). Passing each other at the central crossing loop. 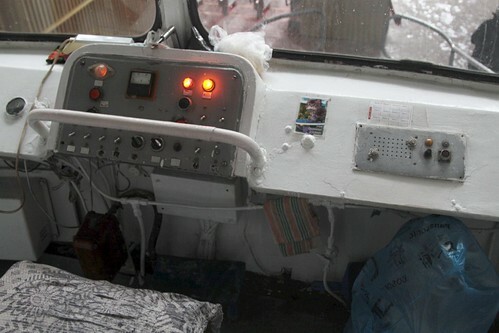 A drivers console is located each each end – this is the downhill cab. 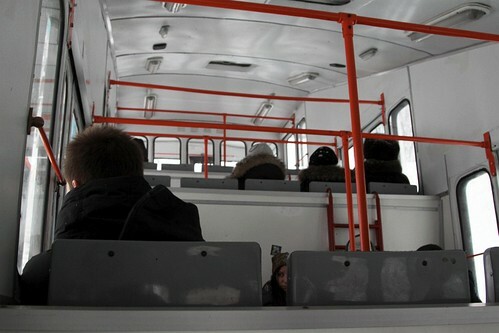 Each carriage has a stepped passenger saloon. 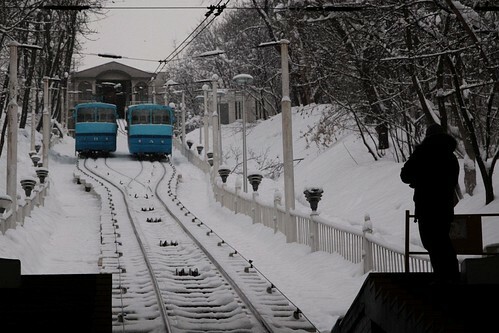 The stations also having stepped platforms. 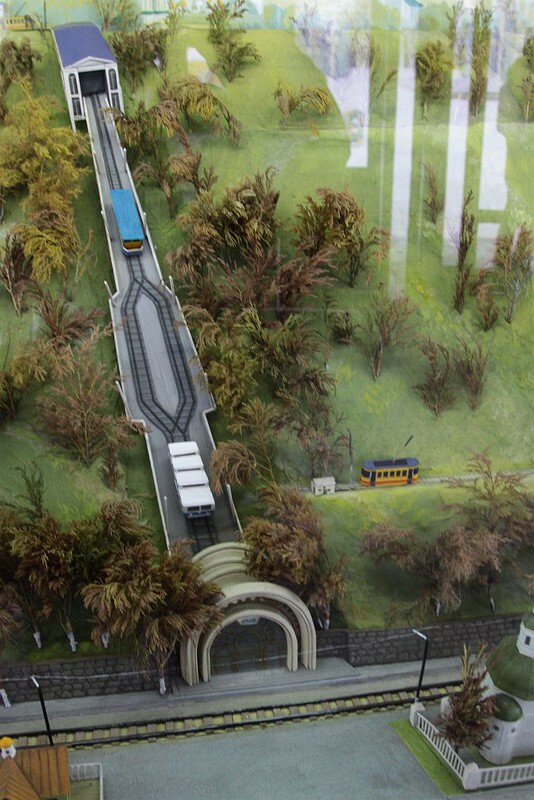 A model of the Kiev Funicular is on display at the upper station. 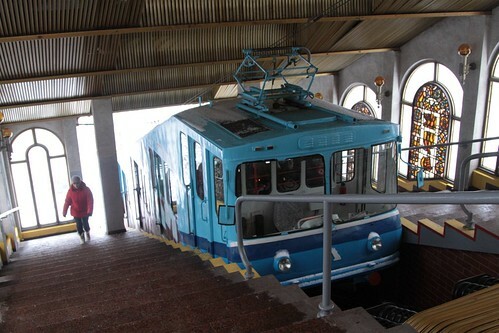 This entry was posted in Tourism, Trains and tagged funicular, heritage railways, Kiev, railways, Ukraine. Bookmark the permalink.